Making Living and Working Spaces Pop! Do you feel like there’s something missing from your living and working spaces? Are you simply unsatisfied with the way your bathroom, kitchen, or office looks? What you need are gorgeous countertops and resin art pieces! At Epoxy Graphics and Countertops in Windsor, ON, we produce first-rate epoxy countertops and artwork that can give a high-end look to any property at a low price point. With our products, you get the aesthetics of natural stone without the exaggerated expenses! Why Choose Epoxy Graphics and Countertops? 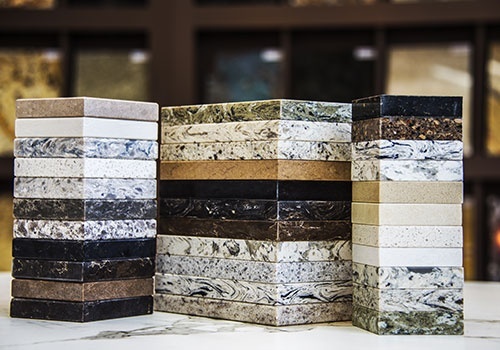 Get Your Countertops From Us! At Epoxy Graphics and Countertops, we can build new countertops as well as cover your existing ones. We will work closely with you to make sure you are given breathtaking results that meet and exceed expectations. For more information about our countertop company and how we can be of service to you, drop us a line.